ISOSTEARYL NEOPENTANOATE, C12-15 ALKYL BENZOATE, BUTYLENE GLYCOL COCOATE, HYDROGENATED CASTOR OIL, TITANIUM DIOXIDE, OCTOCRYLENE, POLYMETHYL METHACRYLATE, ISOHEXADECANE, PPG-15 STEARYL ETHER, ETHYLHEXYL SALICYLATE, BENZOPHENONE-3, OZOKERITE, SILICA, KAOLIN, ACACIA DECURRENS/JOJOBA/SUNFLOWER SEED CERA/POLYGLYCERYL-3 ESTERS [ACACIA DECURRENS/JOJOBA/SUNFLOWER SEED WAX POLYGLYCERYL-3 ESTERS], SILICA DIMETHYL SILYLATE, TALC, MICA, CAPRYLYL GLYCOL, TOCOPHERYL ACETATE, PENTAERYTHRITYL TETRA-DI-T-BUTYL HYDROXYHYDROCINNAMATE, AQUA [WATER/EAU], GINKGO BILOBA EXTRACT [GINKGO BILOBA LEAF EXTRACT], ALCOHOL. OCTYLDODECYL STEAROYL STEARATE, DICALCIUM PHOSPHATE DIHYDRATE, MICA, CETEARYL ETHYLHEXANOATE, CETEARYL ISONONANOATE, HYDROGENATED POLYISOBUTENE, OZOKERITE, CERA MICROCRISTALLINA [MICROCRYSTALLINE WAX/CIRE MICROCRISTALLINE], SORBITAN SESQUIOLEATE, CYCLOPENTASILOXANE, CANDELILLA CERA [EUPHORBIA CERIFERA (CANDELILLA) WAX/CIRE DE CANDELILLA], SILICA, DIISOSTEARYL MALATE, POLYGLYCERYL-3 DIISOSTEARATE, SILICA DIMETHYL SILYLATE, CAPRYLIC/CAPRIC TRIGLYCERIDE, PARFUM [FRAGRANCE], TOCOPHERYL ACETATE, TOCOPHEROL, PROPYL GALLATE, CITRIC ACID, MAGNESIUM STEARATE, SYNTHETIC FLUORPHLOGOPITE, CALCIUM SODIUM BOROSILICATE, TIN OXIDE, TALC. TALC, NYLON 6/12, ALUMINUM STARCH OCTENYLSUCCINATE, MICA, BORON NITRIDE, CETEARYL ETHYLHEXANOATE, DIMETHICONE, CAPRYLYL GLYCOL, METHICONE, CI 77492 [IRON OXIDES], CI 77491 [IRON OXIDES], CI 77499 [IRON OXIDES]. CI 77891 [TITANIUM DIOXIDE], CI 77491 [IRON OXIDES], CI 77492 [IRON OXIDES], CI 77499 [IRON OXIDES], CI 15850 [RED 6], CI 77510 [FERRIC FERROCYANIDE], CI 77742 [MANGANESE VIOLET], CI 45410 [RED 27], CI 42090 [BLUE 1], CI 75470 [CARMINE], CI 16035 [RED 40], CI 19140 [YELLOW 5], CI 77007 [ULTRAMARINES]. TALC, MICA, OCTYLDODECYL STEAROYL STEARATE, ALUMINUM STARCH OCTENYLSUCCINATE, ISOPROPYL LANOLATE, CETYL ACETATE, CAPRYLYL GLYCOL, C12-15 ALKYL BENZOATE, ACETYLATED LANOLIN ALCOHOL, DIMETHICONE, LAUROYL LYSINE, PARFUM [FRAGRANCE]. May contain/Peut contenir +/- CI 77491 [IRON OXIDES], CI 77891 [TITANIUM DIOXIDE], CI 77492 [IRON OXIDES], CI 77499 [IRON OXIDES]. Medium Dark is best for medium to deep skin tones. 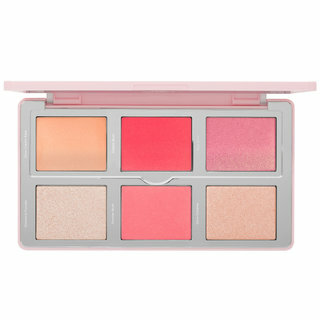 Designed to create a softly sculpted look in six steps, the Sculpt & Glow Palette features unique cream and powder formulas that add subtle definition and Natasha’s signature healthy-looking glow to all skin tones. 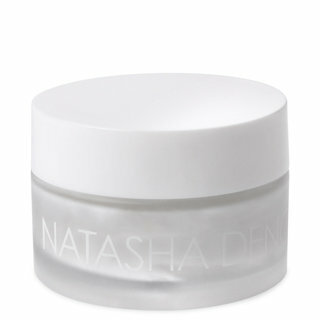 Apply the Highlighting Cream to the high points of your face to lift, accentuate, and neutralize redness. Dust the Japanese Powder over your T-zone to keep oil at bay, or use it to bake your concealer without a dry, cakey finish. 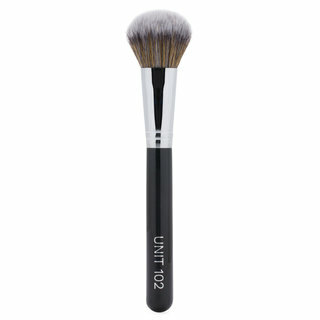 Sweep the Contour Cream below your cheekbones and blend with a damp makeup sponge for sheer, natural definition. Set and blend your contours with the Contour Sculpting Powder. Dab the Face Glow Cream Shimmer to the cheekbones, cupid’s bow, and brow bones. 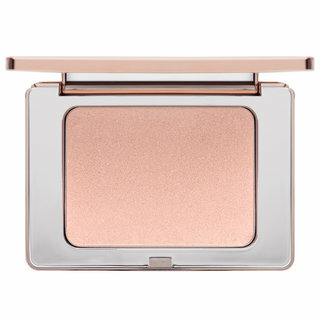 Set your highlight with the All Over Glow Shimmer in Powder for long-lasting radiance. Over all This is a nice Palette. 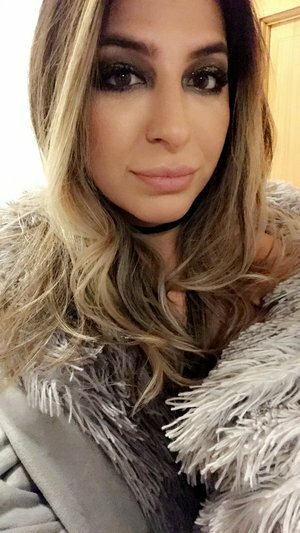 I wear the lightest shade in Natasha Denona's foundation range. The matte highlight shade is light enough for my fair skin blends well. All of the cream products blend and set beautifully. 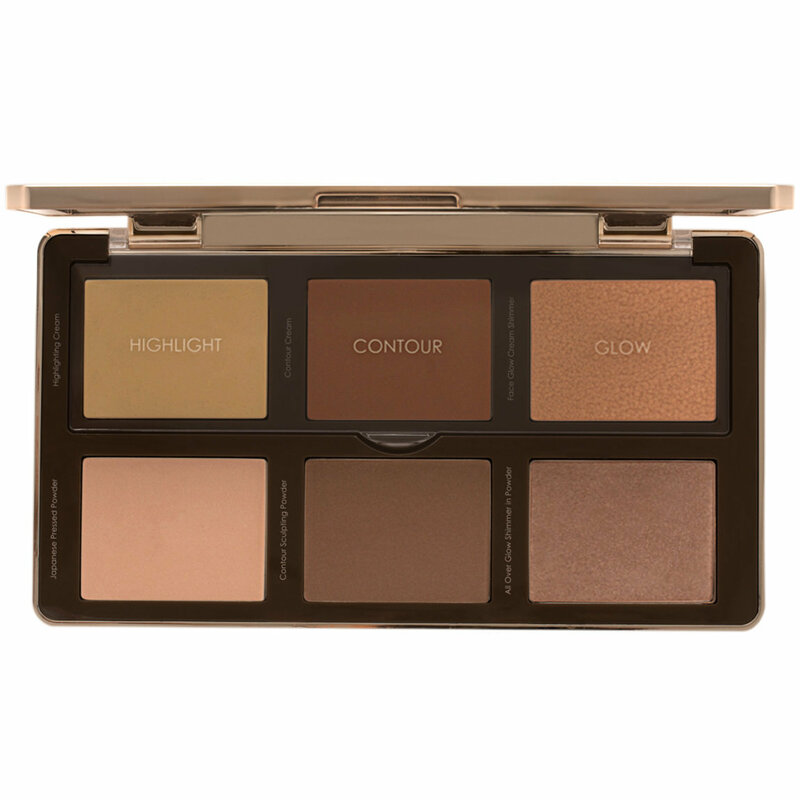 The cream contour shade is very warm on me but is a really nice bronzing shade the glow highlight looks way to dark in the pan but if used with a light hand works on fair skin tones it isn't very pigmented and let's your skin show through. Now to the powders. The setting powder if used in excess leaves behind a peachy yellow tinge to the skin on med. skin tones I imagine this will work well but on lighter skin tones it show up and darkens the matte highlight shade. The contour shade is pretty neutral and is buildable. It's pressed hard though so your going to need a stiffer brush t pick the product up. The owder highlight is very very pretty! Soft and buttery. applies wit ease. but yet again if your too heavy with it will look like a streak across your face on fair skin. Over all I like this palette and will be keeping it. If your even lighter than me I would stay away as nothing I feel in this will be workable for you. Ok the palette is beautiful and sturdy. I have great things to say about all the cream products and the powder highlighter, however the powder contour and powder setting powder aye... well ok the light one which I call a setting powder isnt bad, but the pigment isnt really there. Its hard to pick up product. The contour powder though is really quite bad. I tried swatching with my finger and IMMEDIATELY there was a hard oil layer over the powder so literally zero color was coming out.... i had to stick strong tape on the powder to remove the hardened surface (and yes my hands were clean and not oily). I worked a brush in it and it surprisingly did work ok to apply on my cheek (used wayne goss # 14 brush), however the effort it takes to use and the lack of pigment made me drop 2 stars. The contour powder is pressed WAY too hard in the pan. I have used this palette every morning on the train to work since I got it. It’s very easy to use/apply and blends out with minimal effort, giving a gorgeous, sculpted & glowing look without the appearance of wearing pounds of contour and highlight on the skin (virtually undetectable). 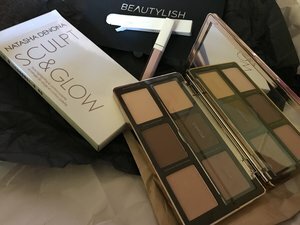 I could have gotten either the light-medium or medium-dark but went with the medium-dark because I liked the colors of the highlighters and sculpt powder more. The palette is a nice size with a huge mirror which I absolutely love. A word of advice - the sculpt powder is very pigmented and at first I found it a little patchy to apply but the more I use it the more smooth I find it applies for whatever reason..so don’t give up! The separation of cream and powder products is such a thoughtful touch and the quality/value is outstanding in my opinion. I’m so happy I splurged and got this palette ! It’s my first Natasha Denona purchase and I intend to try more from her line! I love this product! I am the kind of person that loves makeup but powders and layering can look heavy and cakey fast. 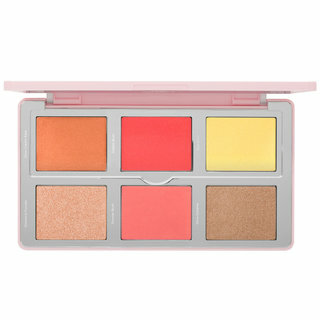 I do not have that problem with this palette at all. I can really go in with the creams and they blend out so beautifully while still keeping pigment. I use the Japanese "highlighting" powder as a setting powder over the areas I cream highlighted and contoured to set. Then I lightly use the powder contour and glow powder to enhance the cream products. I know a lot of people are complaining that this doesn't "swatch" well enough for them but I think that is ridiculous because how it performs on the face with a brush is what matters and this product performs. It enhances and sculpts naturally and flawlessly so that you can go outside in natural light and not worry about looking overdone or patchy. My only con is that if you are fair/porcelain in skin tone the light-medium highlighting duo might not lift your features as much as an actual light to medium skin tone. I will start with the packaging. It is a sturdy plastic and I love that it is a magnetic closure as opposed to a clasp, because a clasp can break. I love that it has a large mirror and that the cream products are protected further by a clear hard plastic cover on the interior. I even love that the content names are on the left of the individual pan. I have light skin, more than an actual fair tone and these colors work for me. The highlight cream is a good shade for me, but anyone fairer might find it a bit too deep. 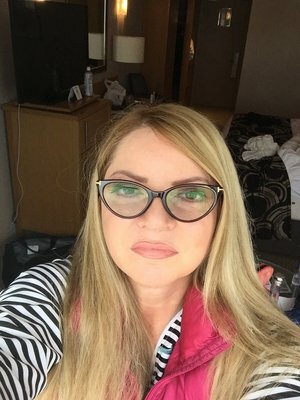 The contour cream is a great shade for me and gives just enough of a "shadow" to look believable and the glow cream gives a subtle highlight that I love. The Japanese pressed powder is a bit dark for under my eyes, but it works really well as an all over finishing powder. 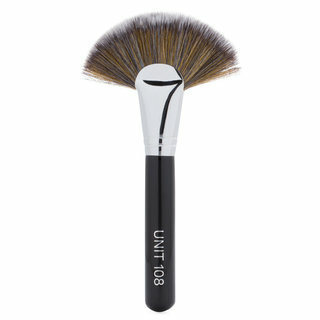 The contour powder is wonderful and I know that several people have indicated that they are having an issue with that product but I have not experienced the hard pan or difficulty in getting color payoff with my brush. 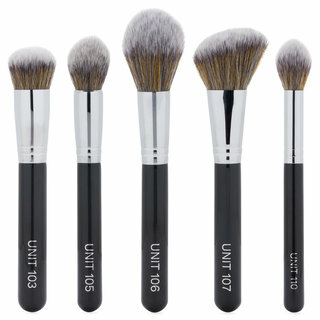 I have not swatchd any of the powder products with my fingers and have only used brushes. I even used the contour powder as an eyeshadow contour and it worked beautifully. Last, but certainly not least, is the all over glow shimmer. It is stunning. It gives a subtle but ethereal glow that is perfection. If you want an in your face highlighter, this is not it. This is your skin but better. This was worth every penny to me. I just love it! Works wonderfully, Ladies. I actually like to use a cream and powder contour for varying depth, and both formulations are great here. 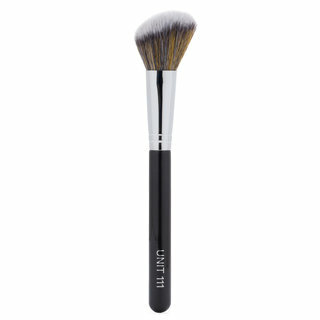 The powder is so finely milled and soft that it lends itself to being incredibly blendable. The cream is light feeling, but still heavily pigmented. I'm very much a medium, leaning towards dark-medium in the summer, but light-medium worked fine for me here. I love the small, inner lid for the creams as well. It keeps the powders from getting into them and messing them up. The shimmer highlights are subtle, not frosty at all. I prefer this type of highlighter. Stays on all day. I give it a ten! I am new at contouring and bought this set . It is very easy to use. I followed several tutorials on YouTube and was able to recreate it on myself. I splurged and also bought a set of brushes. This is the smartest purchase I've made. The packaging is so beautiful and luxurious. And the formula is so creamy and pigmented. I have the green brown 28 palette, and I've ever been disappointed by her products.